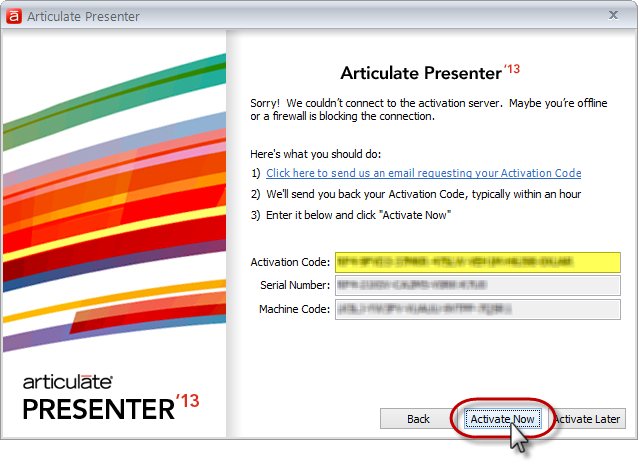 Articulate Presenter '09 customer? Click here. 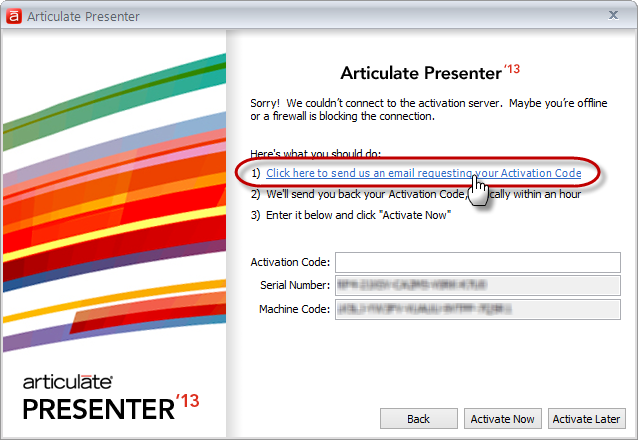 After installing Articulate Studio '13, you'll have a 30-day free trial that doesn't require activation. 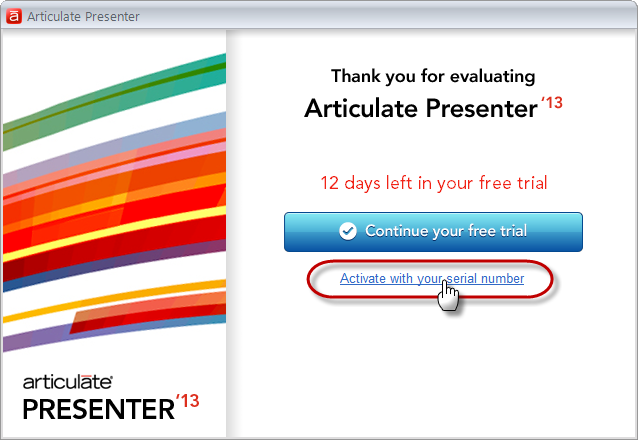 Articulate Presenter '13 is fully functional during the trial period. 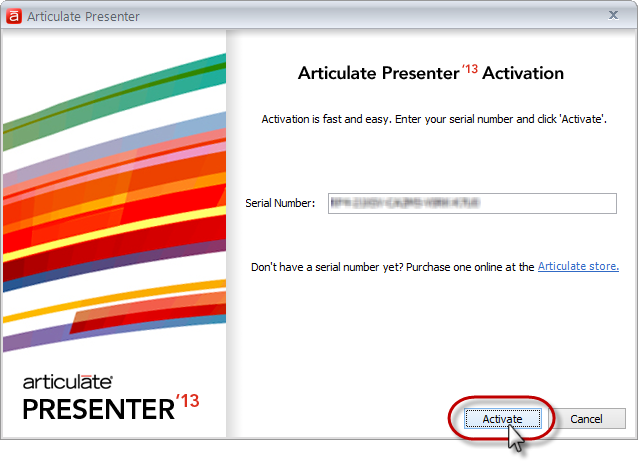 When the trial expires, you'll need to activate Presenter with a valid serial number to continue using it. 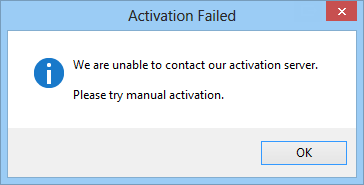 You can also activate at any time during your trial. If you don't already have a serial number and you'd like to purchase one, click here. 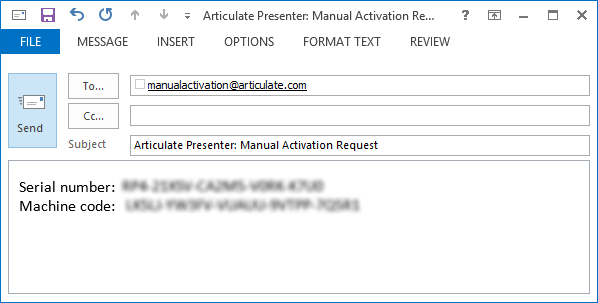 To manually activate Presenter, perform the four steps listed above for automatic activation. 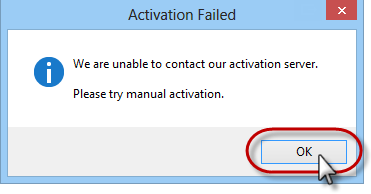 When it fails and you're prompted to proceed with manual activation, click OK.